Remy Navarette Jr. is in his Senior year in college already. 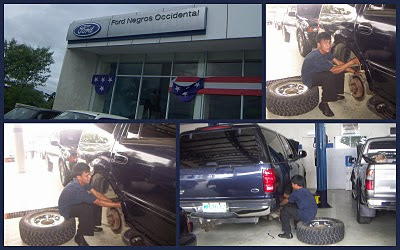 He is studying in Carlos Hilado Memorial State College taking up a 4-year course in the field of Automotive Technology. He is undergoing his on-the-job training now at Ford Motors, Talisay City, working from 8:00 a.m - 5:00 p.m. as a mechanic. He was awarded a college scholarship grant by the Tapulanga Foundation when he graduated from St. Francis of Assisi School of Silay City Foundation, Inc. last March 2007.